Eric Wilson was flying an F18 fighter jet at 28,000 feet when he heard a loud bang, and everything went silent. The jet had lost all cabin pressure, immediately subjecting the U.S. Marine’s body to an onslaught of altitude induced issues. He only had about 60 seconds to descend below 10,000 feet or he would have passed out, and possibly crash landed. When forced to make an emergency descent, Wilson said pilots are grounded for at least 24 hours in case they have decompression sickness, which can cause joint pain, headaches and other problems. Those effects can be permanent unless quickly treated. Commonly called “the bends,” the same illness can afflict deep-sea divers if they return to the surface too quickly. For military pilots flying thousands of feet above the clouds with the air too thin to breathe, not all the risks are as obvious as enemy fire, mechanical breakdowns or decompression sickness. Researchers are now zeroing in on a more subtle neurological concern altitude may cause: brain lesions. The lesions, known as white matter hyperintensities, do not appear to be harming the pilots, but they have been associated with cognitive decline, or mild dementia, in elderly people. The U.S. military is concerned enough that it is funding research aimed at better understanding the long term effects on pilots, and developing strategies to minimize them. “Even though no one’s been injured from this, what they want to do is understand the parameters and what’s going on so they can keep people from being permanently injured,” explained Dr. Stephen McGuire of the University of Texas Health Sciences Center, who is leading the research. In a study published in 2013 in the journal Neurology, McGuire found that U2 spy plane pilots had significantly more lesions than a healthy, age-controlled comparison group with no altitude exposure — a finding that has already prompted the Air Force to take a more cautious approach with its highest-flying pilots. The higher pilots fly, the more intense the conditions get. So the air that pilots and passengers breathe is pressurized so they feel like they’re flying lower. For example, although U2 planes cruise at 70,000 feet, they’re pressurized to 29,000 feet. 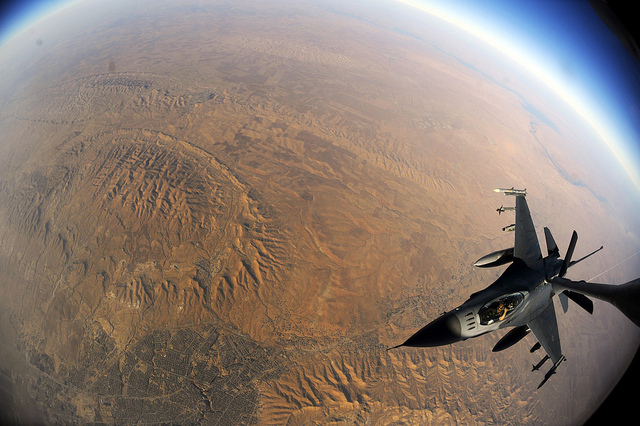 After McGuire’s 2013 study, the Air Force changed this pressurization to feel like 15,000 feet. Spy plane pilots aren’t the only concern. In a study published in August in the Annals of Neurology, McGuire and his team found the same lesions, which show up as bright spots on MRI scans, in technicians who operate altitude chambers. Pilots train in these chambers to learn to recognize the subtle feelings of hypoxia, or oxygen deprivation. Hypoxia’s symptoms are different for every person and difficult to identify without experiencing it, though a common symptom is a sense of security that leads untrained pilots to feel like there’s nothing wrong even as their brains receive less and less oxygen. Experts agree that if the lesions are having any effects at all on pilots, they’re very subtle. Dr. Russell Rayman, a former director of the Aerospace Medical Association, said he hasn’t encountered military pilots with long-term neurological problems from flying. Wilson said he and many other military pilots suffer lower-back problems caused by the stress of flying maneuvers — but few neurological issues. McGuire is now expanding his research to see if pilots like Wilson who fly at lower altitudes than U2s are also accumulating lesions, and to try to figure out why they’re forming. Since the formation of tiny nitrogen bubbles in the brain causes some of the symptoms of decompression sickness, researchers think there could be some connection to lesion formation, too. A key to preventing any long-term effects like memory loss or migraines, McGuire believes, is to determine how long recovery periods should be between flights. With enough down time in between high altitude exposures, he thinks the lesions will heal — much like strained muscles feel better a day or two after a hard workout.